"No wait, courteous, clean and treated me with professionalism"
"Best place for an MRI anywhere in New York City. Great professional staff." "Girls in the front office are amazing." "Best place if you need an MRI and are claustrophobic. Great staff too!" Alpha 3T MRI is a top-rated diagnostic radiology practice located in midtown Manhattan, New York City. Led by board-certified radiologist Dr. Karl L. Hussman, the practice provides a full scope of diagnostic imaging services to patients from the greater New York City region and beyond. Dr. Hussman and the team at Alpha 3T MRI use state-of-the-art technology to help patients move forward with their health care needs. Whether a patient needs advanced diagnostic imaging to confirm a health diagnosis, or they need to determine the extent of their internal injuries following a car accident, Alpha 3T MRI has the equipment, expertise, and experience to get answers efficiently and effectively. Alpha 3T MRI screens for most types of cancer without injecting contrasting agents. For the majority of these screenings, Dr. Hussman uses diffusion-weighted MRI, also known as DW-MRI, which has one of the highest rates of accuracy in detecting virtually all types of cancer. Alpha 3T MRI is also one of the leading practices for diagnostic brain imaging: Dr. Hussman uses a special MRI scanning technique called diffusion tensor imaging, or DTI, to help diagnose aneurysms and other brain problems that don’t always appear on a standard MRI scan. 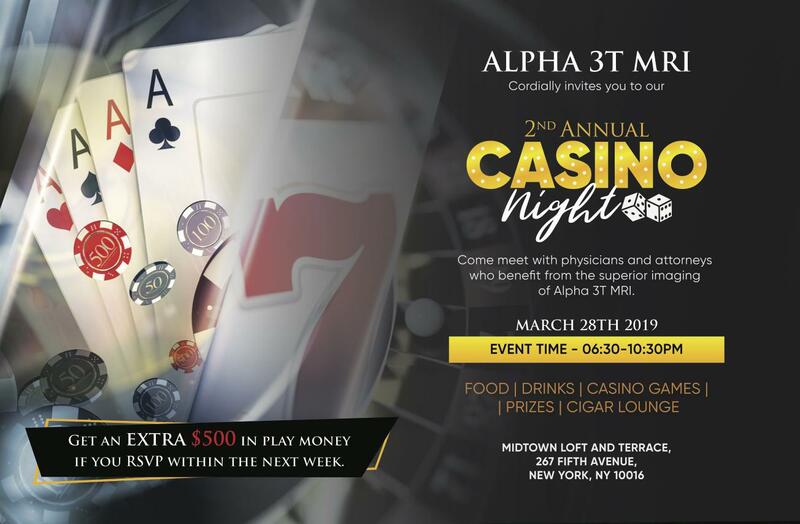 In addition, the team at Alpha 3T MRI has years of experience providing diagnostic imaging services for New York-area patients who’ve been involved in a car accident and who may be entitled to no-fault personal injury protection payments. They also offer comprehensive imaging services for patients who have been injured on the job and are pursuing workers’ compensation claims. Alpha 3T MRI accepts most major forms of health insurance. We are easily accessible and located in the middle of Manhattan. Patients can call the office directly to help arrange transportation to and from their visit. Located in Mid-Manhattan. Call us for help to arrange transportation to and from office. We accept most major insurances. Please call our office to see how we can help. "Very professional! I had no issues with my visit, the staff was very polite, helpful and respectable." "The staff is pleasant and accommodating, there is a large waiting area which is comfortable and nicely decorated. " "Great staff, super friendly and accommodating. Thanks for making my mother feel very comfortable." "The quality of the images were incredible. They were able to diagnose things that no one else had before and gave me the answers I needed to work on my problem." "Dr. Hussman just installed the top of the line MRI unit so in addition to being a great doctor, he has the best equipment. "